The Commerce Department’s National Institute of Standards and Technology (NIST) recently announced they are accepting applications for two grant programs for middle school science teachers and for its annual NIST Summer Undergraduate Research Fellowship (SURF) program. These programs underscore the importance of educating both our teachers and students in the fields of Science, Technology, Engineering and Math (STEM). President Obama has set a priority of increasing the number of students and teachers who are proficient in these vital fields. Specifically, he has called on the nation to develop, recruit, and retain 100,000 excellent STEM teachers over the next ten years. The NIST Summer Institute for Middle School Science Teachers program is a two-week workshop at NIST's Gaithersburg, Md., campus, combining lectures, tours and hands-on activities that educators can recreate in their own classrooms. 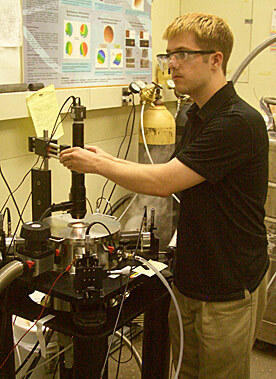 The program aims to increase teachers' understanding of the subjects they teach, provide materials and resources to implement what they have learned at NIST in the classroom, enhance their enthusiasm for science, increase teachers' understanding of how scientific research is carried out, and provide them with the opportunity to develop an ongoing network of scientists and engineers at NIST who will be available for consultation even after the NIST Summer Institute program has ended. The program is open to public school districts or accredited private educational institutes in the United States and/or its territories that offer general science classes at grade levels 6-8 are eligible to nominate teachers to participate. In both cases, teachers apply through their schools or school districts rather than individually. Applications must be received by March 13, 2015. Full details of the program, rules and the application process are available at grants.gov under funding opportunity 2015-NIST-SUMMER-INSTITUTE-01, or visithttp://www.grants.gov/web/grants/view-opportunity.html?oppId=270552. For teachers who have completed the Summer Institute Program in a previous year, NIST also is announcing grants in the Research Experience for Teachers (RET) Program. The aim is to provide two teachers with an opportunity to further their understanding of how scientific research is performed by participating in research at NIST for six continuous weeks. Selected teachers will work side by side with NIST research scientists and engineers on projects that combine research with direct applications tailored to developing, maintaining, advancing and enabling the measurement system for the nation. The research projects in which the teachers engage will be selected to be highly relevant to the teachers’ interests and the NIST mission. Applications for the RET Program must be received by March 18, 2015. Teachers must have completed the NIST Summer Institute program prior to applying to the RET Program. Full details of the program, rules and the application process are available at grants.gov under funding opportunity 2015-NIST-RET-01, or visit http://www.grants.gov/web/grants/view-opportunity.html?oppId=270786.